Looking to gain control and save some money along the way? Check out this Ellen DeGeneres' video to see what she has to say about how she quit.  U-M is a smoke-free campus, and students, faculty and staff can get support for quitting Learn more at the Smoke-Free University Initative webpage. As part of this initiative, students, faculty and staff can get free one-on-one cessation counseling through Tobacco Consultation Services (available at UHS for students) and free nicotine replacement products. They can help you quit vaping and e-cigarette use as well! Want to know about e-cigarettes? e-cigarettes contain chemical related to "popcorn lung." Millions have quit smoking, vaping and stopped using e-cigarettes, and you can quit too. Given the UM Smoke-Free Initiative, there is no better time--even if you've thought about quitting before, tried to quit or successfully quit in the past and started again. Hookah pipes (also known as narghile, shisha, and goza) originated in the Middle East and have recently become popular on many college campuses. Flavored tobacco, which often used in hookahs, is sweet and marketed toward younger people. The tobacco is heated in a water pipe and the smoke is moved through water in the base. It's commonly assumed that hookah pipes are safer than cigarettes because the smoke is "filtered" through water. In reality, the water only cools the smoke; it does not filter it. The tobacco inhaled is similar to smoking an unfiltered cigarette. It has the same cancer-causing substances and is as addictive. Also, smoking hookah pipes may cause more lung damage than cigarettes because hookah smokers tend to inhale much more smoke than cigarette smokers during a typical smoking session, exposing users to higher levels of nicotine, carbon monoxide, and other carcinogens found in tobacco. In fact, an hour spent smoking a hookah delivers as much carbon monoxide to the user as smoking a pack of cigarettes. Again, smoking hookah is a rarity: 97% of UM students have not used hookah in the past month (the vast majority have never used). Want more? See the Center for Disease Control and Prevention Fact Sheet on hookah and health effects. Coughing and shortness of breath decrease; cilia (tiny hair-like structures that move mucus out of the lungs) start to regain normal function in the lungs, increasing the ability to handle mucus, clean the lungs, and reduce the risk of infection. Risk of cancer of the mouth, throat, esophagus, and bladder are cut in half. Cervical cancer risk falls to that of a non-smoker. Stroke risk can fall to that of a non-smoker. Quit Kits are available in Wolverine Wellness on the ground floor of UHS. If you have questions please call, 734-763-1320. Schedule an Appointment with a UHS clinician to discuss your health and quitting. See also Who Can Use UHS? for eligibility. Free nicotine replacement products for students who meet one-on-one with with a Tobacco Treatment Specialist at UHS or the Traverwood location on North Campus. Call toll-free 800-361-8387 and ask for your primary care team to help you with tobacco. One-on-one counseling. Focus is on smoking reduction and/or cessation using nicotine replacement therapy, Zyban and Chantix. Only for veterans (free). Smoking cessation products may help you to quit if you are addicted to nicotine. If you are not physically addicted, these products probably will not help you quit. Nicotine Replacement Therapy (NRT) products: These products provide nicotine to ease withdrawal symptoms (such as nervousness, restlessness, irritability, headache, dizziness and stomach upset) until you are weaned from smoking. They don't make you quit and they don't help you cope with the psychological challenges of quitting. For U-M students: You can get free nicotine replacement products when you consult a Tobacco Treatment Specialist. To arrange a free consultation (or a quit-smoking program), contact Tobacco Consultation Services at quitsmoking@med.umich.edu or 734-998-6222. For your convenience, consultations can take place at University Health Service. Patches, applied once a day, provide a steady amount of nicotine through your skin. Nicotine gum is chewed and held in your mouth throughout the day. Nicotine lozenges are used throughout the day so nicotine is absorbed through your mouth. Nicotrol Inhaler, which has a plastic mouthpiece similar to a cigarette. Cartridges containing nicotine are placed into the mouthpiece and puffed on for up to 20 minutes. Nicotrol nasal spray is absorbed through your nose and is used several times a day. Zyban (bupropion HIC) is believed to work on the brain chemistry involved in nicotine addiction and withdrawal. Zyban comes in pill form and is usually taken twice a day. Chantix (verenicline tartrate) works on nicotine receptors in the brain. It is believed to decrease the reward mechanism of smoking and reduce the urge to smoke. It comes in pill form and is taken once or twice a day. It may cause serious neuropsychiatric symptoms. Before starting Chantix, tell your clinician about any history of psychiatric illness. While taking it, inform your clinician of behavior and mood changes. Family and friends: Social support is probably the most valuable resource! Ask for what you need - encouragement, congratulations, company. If you know someone else who wants to quit, try a buddy system. Michigan Department of Community Health offers a Tobacco Quit Line at 800-784-8669.